Denis Spiller, President of Rotary in Great Britain and Ireland visits the club and speaker Jane McKell - the actor- entertains as speaker. One of the key people involved in Rotary – the President of Rotary in Britain and Ireland – Denis Spiller – visited the Poundbury Rotary Club whilst on his tour of the 1,800 clubs in his domain. Dropping in to the Poundbury Club was special as the club is only four years old, and is growing with new members joining and, on the day, the most recent member was able to meet Denis, and one prospective member was along and at the meeting has decided to join the club. The speaker for the meeting was Jane McKell, an actor with a considerable history of stage, television and radio work, and she talked about her enthusiasm for bringing many more people into the world of acting, especially youngsters. She entertained the members and guests about her work and showed many images of plays, and special images that related to the stories portrayed. 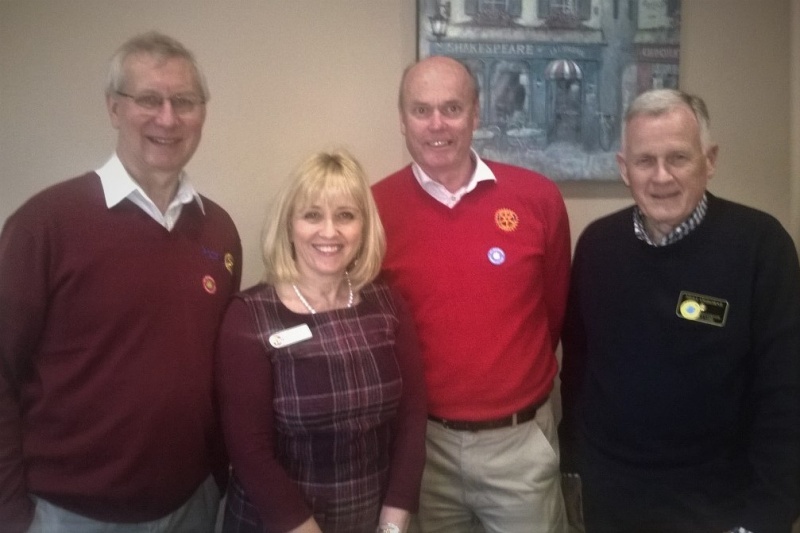 Denis then spoke to the club about his special work in Rotary, particularly that relating to new clubs and developing business networks that form a part of any dynamic Rotary Club. Denis then left to visit a club in Weston-Super-Mare then on to Telford for the weekend and expected to arrive home in Kent the following Wednesday, for one night and then off on the road again. 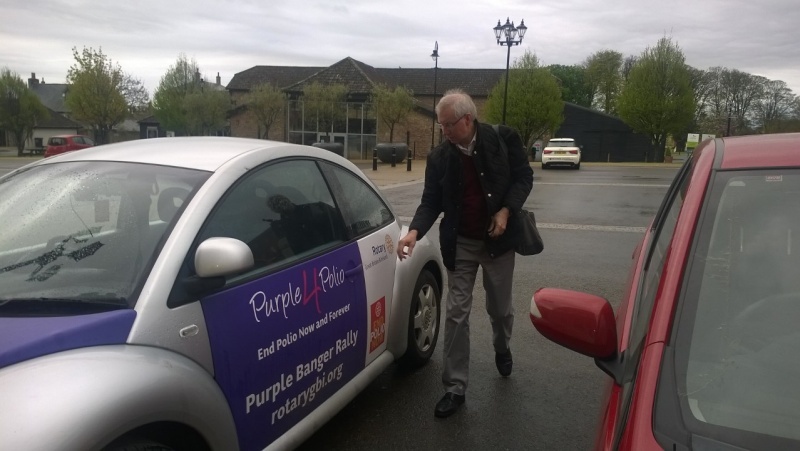 His car has been sign written with the international project that has occupied the 34,000 Rotary clubs world wide for over thirty years, the elimination of Polio from our planet.